After a dull-ish 2015 season, 2016 witnessed something of a return to form for the football championship, even if, as usual, the best games arrived late in the day. The 21st century has entered its eighteenth year. What are the young century's greatest Gaelic football matches? Here, we rank the ten best championship matches of the 21st century. Armagh dominated the provincial scene in the noughties, winning six Ulster championships. However, in the All-Ireland series, they were overshadowed by their northern rivals. They were beaten by Tyrone in the 2003 All-Ireland final and the 2005 semi-final. In between, they stumbled against Fermanagh in the 2004 quarter-final. The 2003 final was controversial. The goodwill usually accorded to first-time All-Ireland winners was in scant supply as Peter Canavan lifted Sam. Ulster pundits accused the Dublin press of sour grapes and tactical cluelessness. The southern media couldn't see the art behind northern spoiling tactics. Praising the combatants for tactical sophistication was akin to giving the man who stays in bed all day an award for services to road safety, wrote the Irish Times. By the 2005 championship, the south had learned to live with the new game. 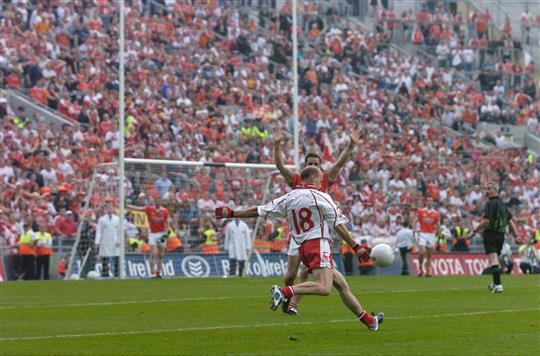 And we were treated to a classic in the 2005 All-Ireland semi-final. As Ulster champions, Armagh were slight favourites. They were eventually pipped by a point thanks to a late, late Peter Canavan score. What makes a great game? 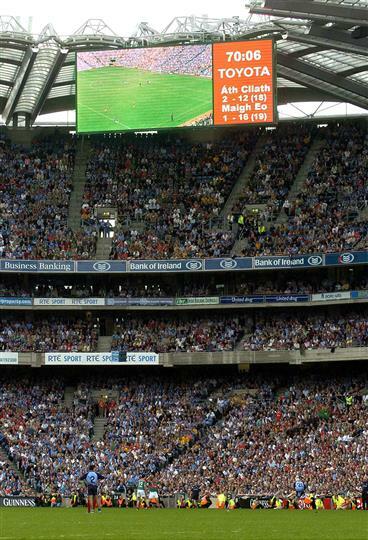 We included the Kerry-Galway quarter-final of 2008 partly to placate the purists. Now we must make them choke on their food by including this All-Ireland quarter-final between Donegal and Kildare. A grim encounter for much of the original 70 minutes, the neutrals in the crowd spent the first half grumbling about the oppressively negative approach of Donegal. The extra-time provided a most tense and dramatic finale. With nine minutes of extra-time left, Kildare led Donegal by 0-14 to 1-8. In a game where manufacturing scores was a grueling business, this was a significant deficit. Donegal rustled up four scores without reply, two of them coming in injury-time of extra-time. Kevin Cassidy's magnificent, soaring winner is burned into the memory of Donegal supporters. Donegal had received a wholly negative press in the national media at the time. The significance of the 2011 Ulster win - their first in nineteen years - was dismissed. But this was the game which convinced many that something extraordinary was being brewed in Donegal. Paidí O'Sé was seeking a second All-Ireland title as manager. Maurice Fitzgerald was the central figure when he won his first but this time he was attempting to use him as a bit-part player. Armagh reached the All-Ireland semi-final for the second year running. The previous year, they barely raised a gallop and exited with a whimper against Meath. Ulster football hadn't crawled out of its late 90s slump and Armagh entered the semi-final as clear outsiders. They ultimately fell short but only after a replay, an outcome achieved after a late goal. Maurice Fitz may have started from the bench but he provided the game with its signature moment. He collected the ball out by the Cusack, darted inside and stroked the ball into the corner with his left foot. In the past 20 years, Meath have transformed from Gaelic football's Nick Faldo into Gaelic football's Greg Norman, albeit less good. They used to be hard-nosed champs who came strong in the final quarter as the mentally frail people's favourite crumbled before our eyes. Now, the dreaded 'b' word is being used about them. 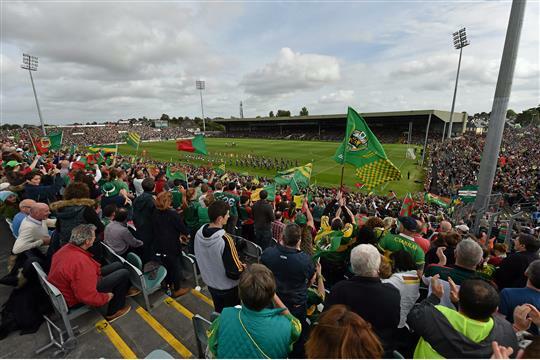 Are Meath really fit to be called "bottlers"? Two of the most memorable Leinster championship games of the past decade involved Meath collapses. In 2008, Mattie Forde inspired Wexford to overhaul a ten-point deficit in the final quarter in Navan. At half-time in the 2015 Leinster championship match between Meath and Westmeath, most pundits were agreed that the match was over. Meath could look ahead to their annual tilt at Dublin in the Leinster Final with some tentative confidence. Leading by more ten points, they looked to be a tasty outfit with Graham Reilly delivering an exhibition. They barely re-emerged for the second half. We know what happened then. Westmeath's win column against their neighbours no longer reads 'zero'. Unlike some other games on here in that it was wholly lacking in injury time drama. No, no, this game was one for the purists. They've been slobbering over this spectacle ever since. It's been elevated to the pantheon of great games, in part, because of the weather. The rain came sheeting down in the first half, leading spectators in the lower decks of the Hogan and Cusack Stands to scamper to the back of the stand in search of cover. Thankfully, the ground was only half full and there were enough covered seats for everybody. Such conditions have ruined many a game. Not in case. The Galway and Kerry forwards delivered an exhibition under the floodlights of Croke Park. Galway, as we know, are the purists' favourite sons. The Connacht champions, big underdogs beforehand, were showered with greater plaudits than Kerry after the match. For they were ones that suffered for their art, eschewing cynicism altogether and going down by five points. Certainly, the victorious Kerry boys didn't stint on the praise for their vanquished opponents, reminding the world that Galway are a good footballing county who play in a decent style. Diplomatically, they chose not to add that this was in stark contrast to the cussed Nordie outfits who were the bane of Kerry's existence at the time. Kerry brought all their know-how and cleverness to the sword-fight and maintained the lead until the closing stages. But the 'blue wave' overwhelmed them in the closing ten minutes, as it has done in every encounter since 2011. The preamble illustrated this decade's power shift. Many neutrals fancied a heavy Dublin win. Kerry's route to the semi-final, never strenuous at the best of times, was perceived as even more tame this year courtesy of Cork's loss to Tipperary in Munster. How would such a preparation steel them for the Dublin juggernaut? They capitalised brilliantly on Stephen Cluxton's panic attack shortly before half-time and entered five points ahead at the break. Entering the final ten minutes, they maintained a three-point advantage. But the Dubs ripped through them in the final ten once again. Operating with 14 men for most of the game, Mayo delivered one of their finest performances of the James Horan era. A bulldozing display on the 40 from Aidan O'Shea had given Mayo a commanding lead entering the final quarter despite their numerical disadvantage. Kieran Donaghy was soon to be yesterday's man and had warmed the bench for most the year. With championship exit beckoning, Fitzmaurice lobbed Donaghy into the mix. He made a nuisance for himself on the score. 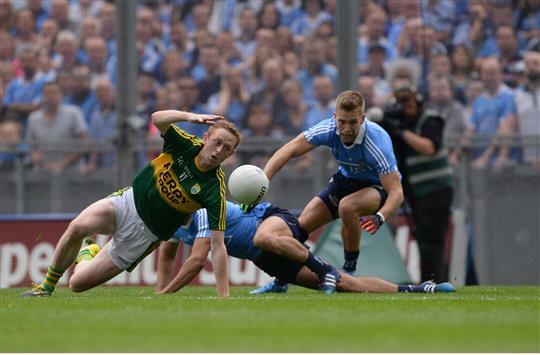 He claimed a speculative ball, slipped it to James O'Donoghue who rifled it home and gave a Kerry a scent of a win. With the score at 1-16 apiece, Kerry were awarded a very long range free in the final second. From the view of the Hill, Bryan Sheehan appeared to have nailed the shot. It just tailed short and was claimed on the line. A mountain of material has been written about this game. David Brady has since been collared as the man responsible for directing his teammates down towards Hill 16 for the warm-up. In their fury, Dublin-based legislators surely began scrambling around for rulebooks to see whether the 'stunt' was legal. Alas, there was no such rule guaranteeing the Dubs the right to warm up at a goal of their choice. The matter has yet to come before Congress. Rather than quietly applauding Mayo's chutzpah and taking themselves down to the Canal End for the warm-up, the Dubs linked arms and marched towards the sacred terrace on the Hill. They rubbed shoulders with the Mayo lads in their warm-up. Mayo's physio was one of the casualties. She was hit with a stray shot and lay prone on the turf for a time. The game itself, for those few who don't know what went down, is unforgettable. Mayo overhauled a seven-point deficit in the second half. Ciaran McDonald kicked a majestic winning point late on. We reckon it beats the drawn semi-final in terms of drama and craziness. The end of normal time was remarkably similar to the drawn match. This time it was a Robbie Hennelly's last-kick free dropping inches short. The magic of the Saturday evening replay. A Saturday evening semi-final replay to boot. It's hard to recall any such game which has disappointed. 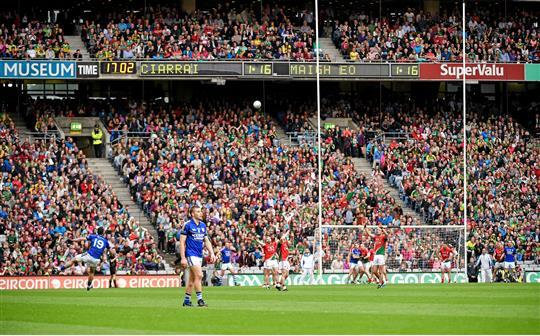 Mayo supporters objected but the tightness of the venue also contributed to the occasion. It added another lair of novelty to an unforgettable evening. We were a treated to a goal-fest, a game of unbearable tension. We had refereeing controversy, a tense finale and a pre-final whistle pitch invasion. A book could be written about the game. Odd to have a seven point game at the top of the ranking. In the Irish Times the day afterwards, Malachy Clerkin wrote that if a scoreboard could be sued for damages, Kerry would win millions. 3-18 to 3-11 = slander. A thrill ride which had all, bar Kerry supporters, walking out of Croke Park buzzing. Colm Cooper began the game at centre-forward. His first half display caused observers to regret that he hadn't been selected there more often. He looked born to play on the 40, pulling the strings and setting up two wonderful Kerry goals in the first half. Jim Gavin's Dublin were turning heads in the manager's first season but this was a proper test of their quality. They stood up the challenge with Kevin McManamon, the bane of Kerry's existence, grabbing the critical score late in the game. The ground shook.